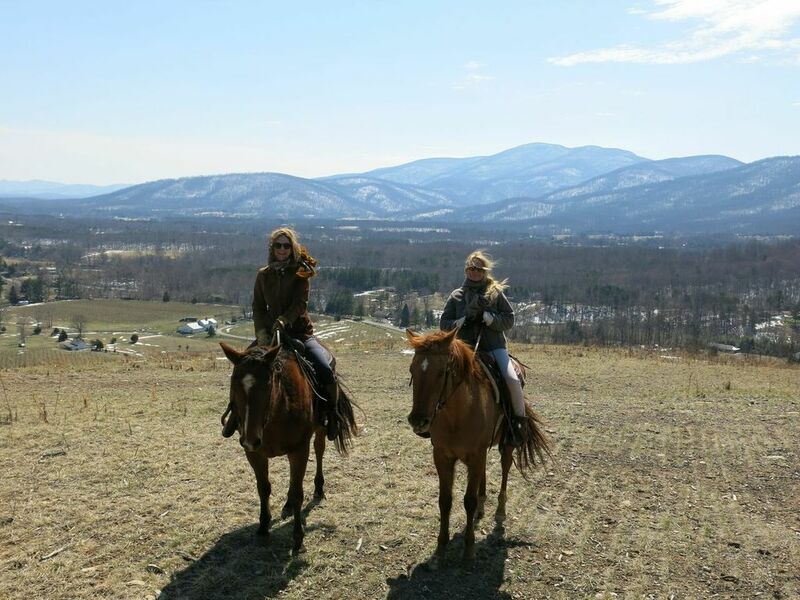 For many weekend visitors, the Piedmont region of Central Virginia is an escape from the hectic work week and a get-away to explore scenic byways through rolling hills, countryside rich in history and beauty. A chance to unpack a picnic basket filled with local artisanal cheeses and a fresh baguette alongside picturesque vineyards and uncork a bottle of Virginia wine or bubbly. For others, this is a privileged daily way of life; residents in and around Charlottesville hail from all over the world and choose to live here because of the temperate four seasons, the proximity to major East Coast metropolitan areas and the abundance of recreational, educational and cultural opportunities. 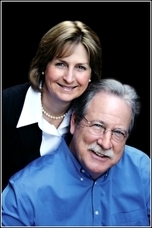 In this particular case, the Tiemeyers, who have owned several homes and traveled globally, ultimately selected Keswick as their retirement home. The approach to Keswick Estate transitions through the Keswick Hall resort, past tennis courts, a small vineyard, the splendid “Hall” hotel and Keswick Country Club. Passing through the electronic gate, a peaceful community of estate homes on acreage awaits, surrounded by the newly redesigned Pete Dye golf course at the foothills of the Southwest Mountains. The estate home at 849 Club Drive was designed with attention to the smallest detail and is currently on the market for the very first time. We launched the listing with an invitation to meet not only the builder and designer, but also one of our favorite local wine makers, Claude Thibaut of Thibaut-Janisson, internationally known for his sparkling wines made in the traditional Methôde champenoise. Claude was born in Reims France, renowned for it’s world class Champagnes and from there brought this style of wine-making to the United States. I can’t think of a better way to enjoy this home than sitting outside and taking in the view with a glass of Claude’s bubbly. Guests previewed the exquisite home and gardens with a flute of chilled sparkling TJ Xtra Brut offering a relaxed atmosphere to chat with builder, Baird Snyder and Jimmy Grigg, architect of Daggett + Grigg about the elements that went into designing the home. All three- Baird, Jimmy and Claude have built their reputations on excellence and the home itself is equal in it’s perfection. The home, lovingly known as Woodford House, was inspired by the owner’s childhood in Essex, UK and was created to reflect the stately elegance of an English manor surrounded by soft layers of landscaped formal and natural gardens. Sited on 2.49 acres on a gentle slope above the golf course, the home features over 7600 sq.ft, 4 fireplaces and a stunning loggia for outdoor entertaining, a clear favorite. The automatic humidity controlled Victorian style Hartley Botanic greenhouse adds a sense of fantasy to the garden, imagine enjoying morning coffee amongst the flowers or sipping champagne inside as the snowflakes fall. The golf course lot gracefully undulates to a gazebo and brook flowing just inside a sheltered fringe of trees. I recently heard an interesting perspective that altered my thoughts on reviews, star ratings and testimonials. In this knee jerk reactive, social media world we live in, people have the opportunity to praise or harm a business without the owner even being aware of a situation. Such a situation developed the other evening at one of my very favorite restaurants on the Pedestrian mall in Downtown Charlottesville. 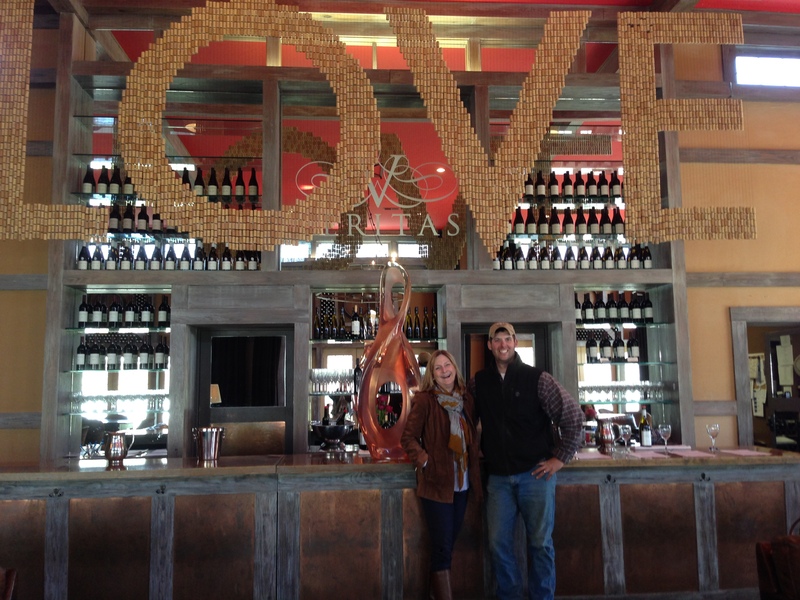 We had new clients in town and they selected Red Pump Kitchen for their first dinner in Cville. Unfortunately, they had a less than stellar experience there and I was dismayed to hear about it the following morning. I impulsively jumped on Facebook to express my concern about their experience. 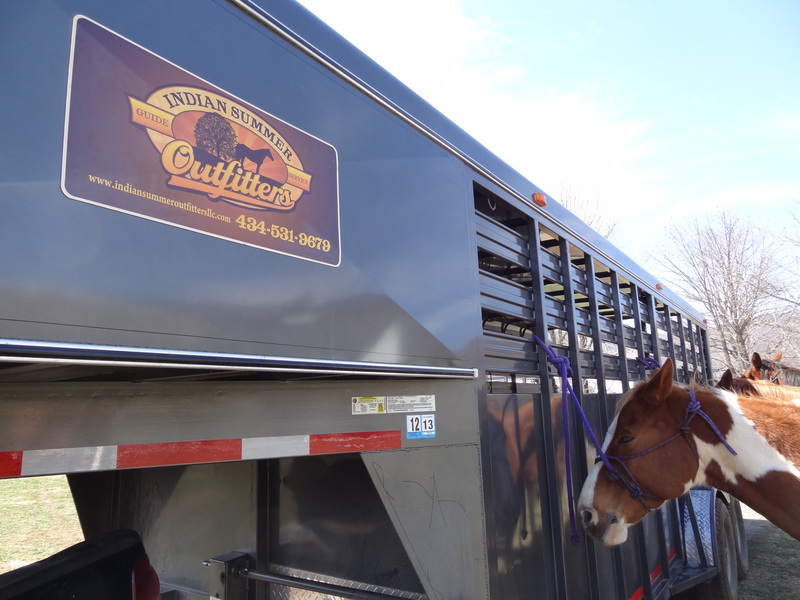 We want our clients to love Virginia as much as we do, of course. Clearly, I intend not to dwell on what went awry, but how rapidly the efforts were employed to rectify the situation! 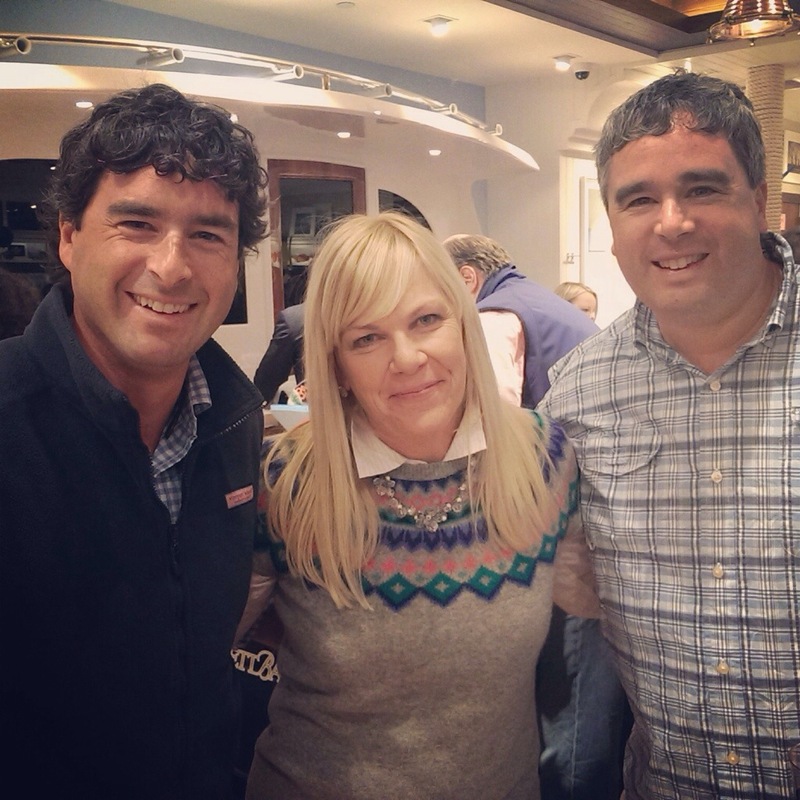 After hearing about the note on Yelp and my note on Facebook, the owners, Dean Andrews and Lynn Easton aggressively delved in to the situation, reached out to their team (even though they were out of town at one of their restaurants in Charleston, S.C.) and contacted me on our clients behalf the very same day! 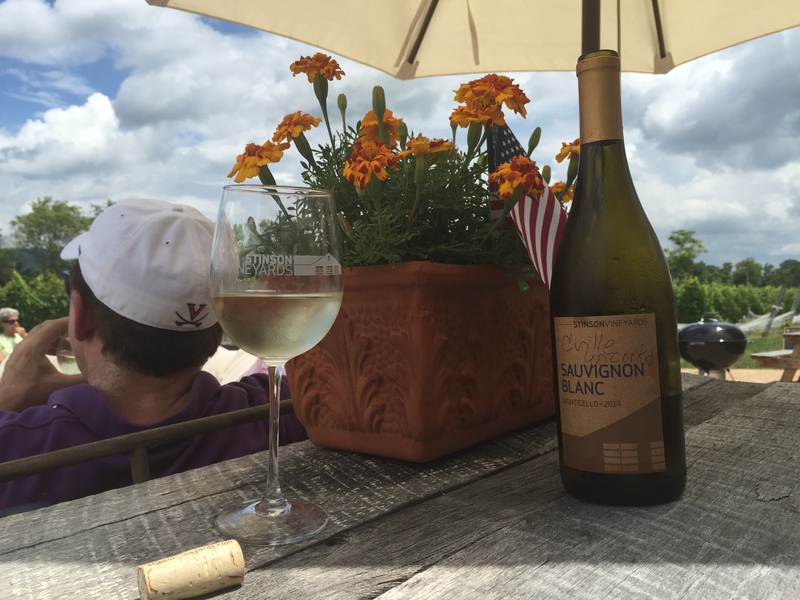 With their reputation for attention to detail and hands-on service, I received a phone call with a sincere personal apology and Dean offered the option of inviting our clients to experience the beautiful Pippin Hill Farm & Vineyard for a complimentary Sunday lunch. As many already know, Pippin Hill is a favorite with The Knot, Martha Stewart Weddings and Vogue and deserves it’s ranking as one of the premier wedding destinations in the country. 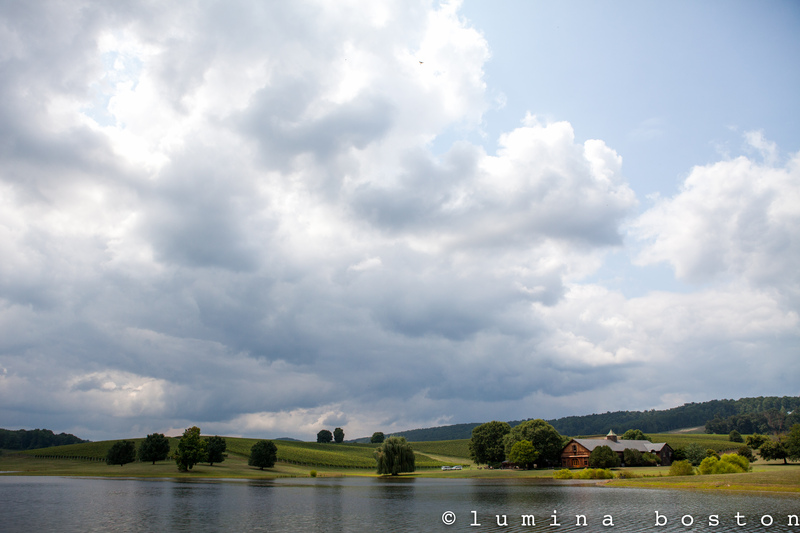 Pippin also boasts one of the most picturesque views in Virginia, and a striking approach through an allée of fragrant popcorn white hydrangeas towards the rustically elegant barn/event hall and tasting room. Reserved for us on this gorgeous August afternoon was the shaded corner table providing a gentle breeze where we were indulged with refreshing Blanc de Blanc and sparkling Rose. Our server, Colleen, was delightful, attentive and excellent! Matt, the manager checked into make sure everything was perfect…and it was. The cheese board and charcuterie board were artistic, locally sourced and delicious, we loved the Buffalo Sliders and the atmosphere and scenery exquisite as always. It couldn’t have been a more delightful afternoon. It also served as an unexpected opportunity to celebrate my birthday and our clients =) which are both tomorrow. It’s been two months since I wrote Part One of this post! Procrastination and life has a way of interfering with sitting back at a keyboard with a glass of wine and reflecting on how blessed we are to live in such a beautiful part of the world. It actually took the Republican National Convention to spur me on to writing. Kerry Woolard, General Manager of Trump Winery, spoke last night at the RNC and Eric Trump is slated to speak this evening. I have Kerry to thank, along with the staff at Trump Winery, for making our stay exceptional. Oh, and by the way, this is not a political diatribe, it just got me thinking. 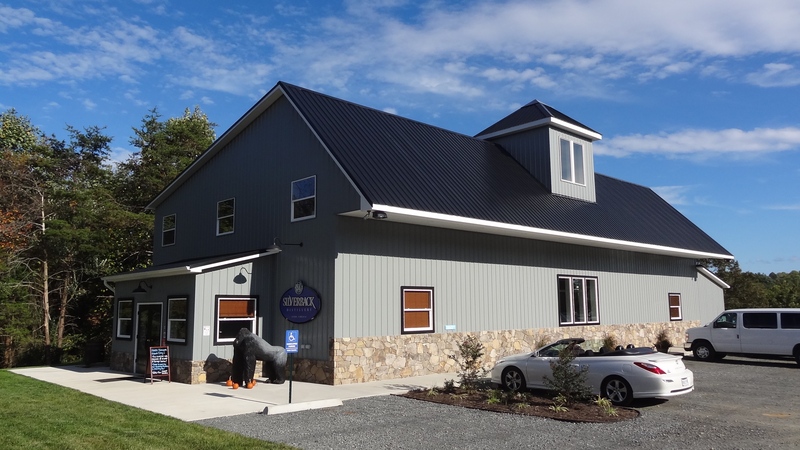 This is about an over the top Bed and Breakfast in Virginia wine country, just a short drive down the road from the historic Monticello, Ashlawn ( James Monroe’s home), Dave Matthew’s winery Blenheim Vineyards, peach and apple orchards and our own charming downtown Charlottesville. In thinking back over our stay, I pondered as to why it was such an impressionable overnight and several reasons came to mind. One: As children we hear stories and read fairy tales about princes and princesses, castles and sumptuous living, but only a few people actually experience the daily lifestyle of the rich and famous. This was an opportunity to slip into that world, for a night or a weekend or a week. Two: Trump does have the letter “T” everywhere and guess who has the same initials? So, when they handed us the remote control for the gate to the property and I kept seeing the “T” everywhere, well, it kind of did feel like home. The fact that the manor house has only (only!) ten suites, and due to the limited number of guests on our stay, my sister actually started calling it her home. Conversations began with “ I’m so glad you could come to visit me” and along with plenty of bubbly wine and giggles, we did make ourselves quite at home. Three: The approach through the vineyards and traversing through the rolling countryside with pastoral vistas, I was reminded of early 1800’s paintings of England in particular, a landscape by English Romantic painter, John Constable of Wivenhoe Park an English landscape park, and the estate of the Rebow family. Four: Elegance permeated the property with two 1760 handmade Waterford crystal chandeliers, the elaborate ornamental rococo mantle in the dining room, the soaring 22 foot ceiling in the living room, hand-painted wallpaper designed in Paris and painted in India, garden statuary and formal rose gardens plus the Steinway grand piano- all speak to a lifestyle of days gone by and made this home outstanding. As I said, we were totally impressed! So that night, we slipped on our slippers like The Twelve Dancing Princesses by the Brothers Grimm (except there were only four princesses in this story) and danced and traipsed through the halls of the mansion down to the private theater, complete with freshly popped popcorn, loads of candy bars and BYOB Trump Sparkling Blanc de Blanc. Okay, so maybe we don’t look like princesses-we felt like princesses. Showing pictures of our “Pajama Party” at the Albemarle Estate, I really wanted you to see how much fun you can have at the estate and it would’t be complete without sharing about our evening in the private theater. The room was used in the 1980’s to screen first release films and currently, state of the art surround sound and HD projection. For about $20 per person, you can reserve the theater for your group . You’ll have the theater to yourself with tons of movies to choose from (you get to select only one though), all you can eat Reese’s and it’s really close to the indoor hot tub, sauna and outdoor pool area if you decide to do something else. I fell asleep and missed THE END but we had a short walk to our opulent suite and sweet dreams. I think the pictures speak volumes…it was a heavenly wake-up and the formal breakfast/brunch was artfully presented. A special thanks to my sweet daughter/photographer, Jillian Curran of Lumina Boston Photography, the pictures were too many, too wonderful to include all in this one post. I Love Christmas! And as excited as I am about spending the holidays with the ones I love, there’s always the question as to what to give or what to do with our out of town guests. 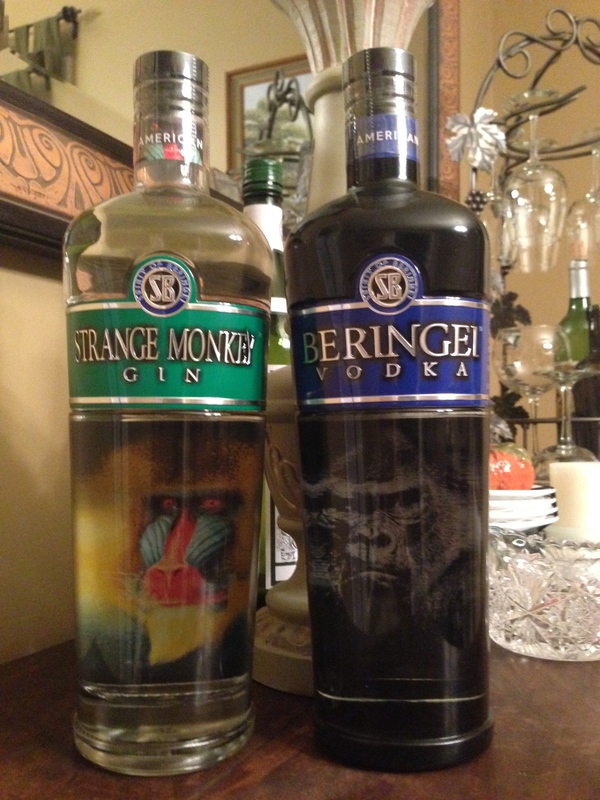 Well here’s a a different type of spirit that makes for a fun “get out of the house” trip and even get some Christmas gifts or stock up the bar for New Years Eve. 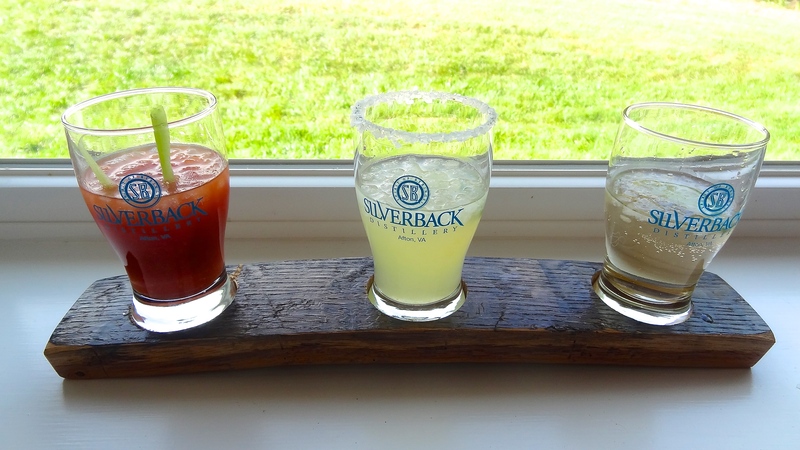 Chest thumping enthusiasm is palpable as wine drinkers and beer lovers “fall off the Brew Ridge Trail” and into the new tasting room of Silverback Distillery in Nelson County. Curiosity tempted us away from apple butter festivals and past some of the wineries and breweries dotting 151 in Nelson. 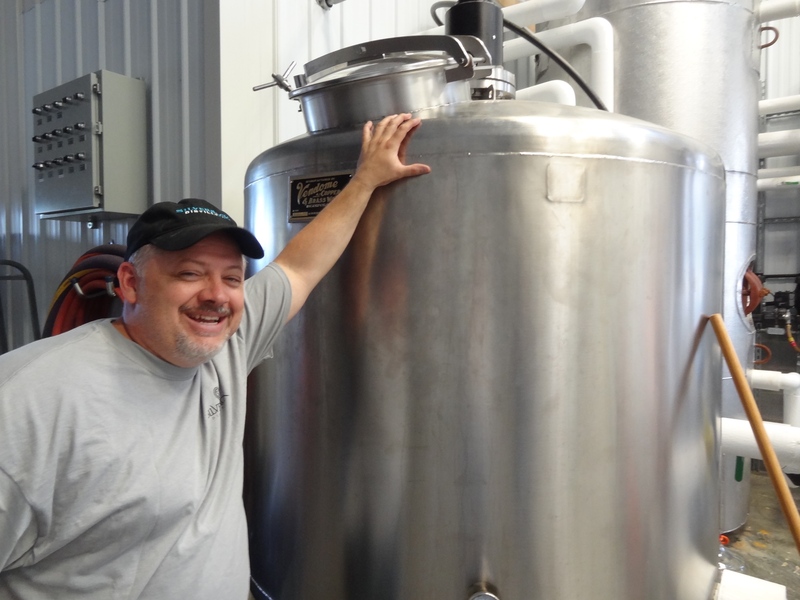 Just a short drive south of 250 and Afton is the newest attraction, opened the end of August by partners in life and business, Christine and Denver Riggleman and close friend and operations manager, Blake Rhodes. 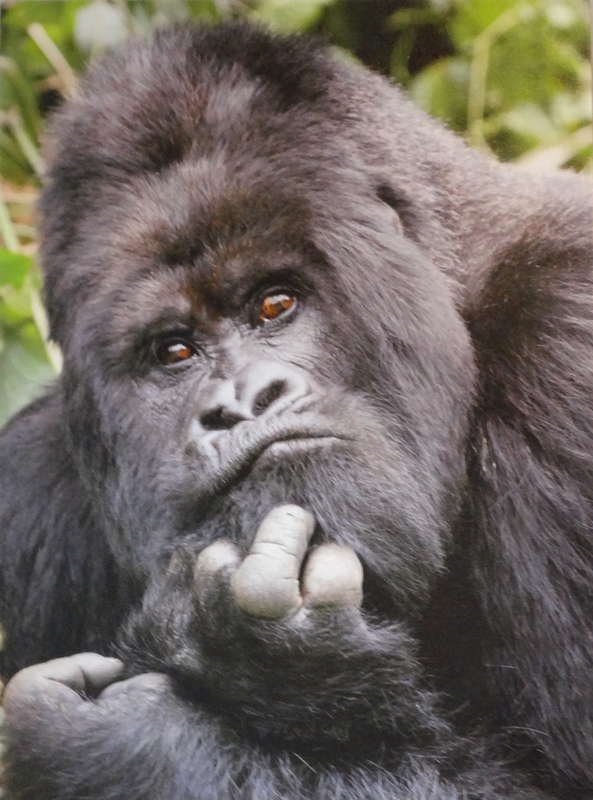 The distillery bears Denver’s nickname of Silverback (gorilla of course) because he had grayed prematurely, lifted weights and is actually quite gentle unless provoked. 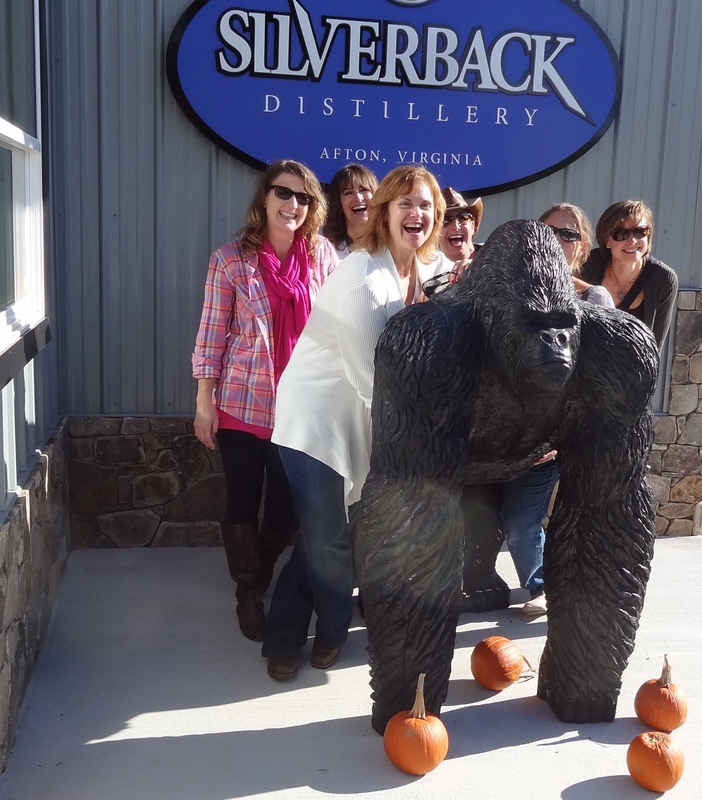 We arrived shortly before closing and within a small window of time that allowed us to connect with the Silverback himself, Denver, for a quick but thorough tour of the distillery. 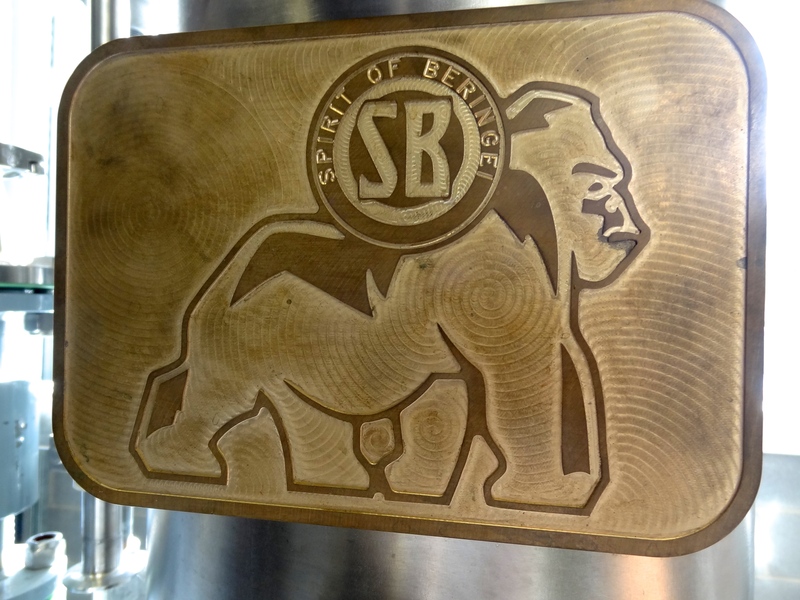 Proud of not only the design and the process thoughtfully chosen by the couple, we were treated to a brief chemistry lesson in spirit production. 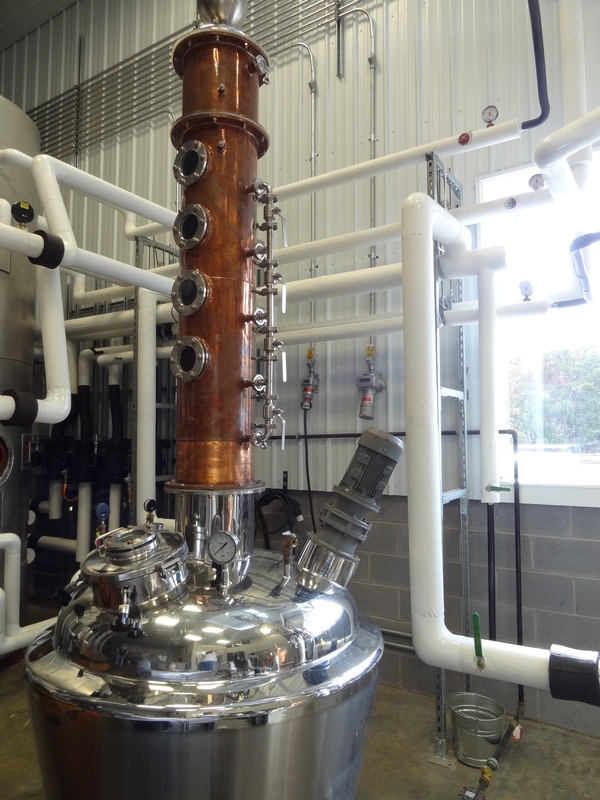 The two stills used would make Willy Wonka want to switch to Bourbon,Gin and Vodka. Sleek and sparkling in the sunny room, the contraptions rest above a hidden geothermal system for heating and then shock cooling the spirits to achieve the best flavor possible. Teflon lined fireman’s hoses transfer the mash to the stills. The stills are Denver’s million dollar plus babies, don’t quote me on this but I remember the dollar figures astounded me. 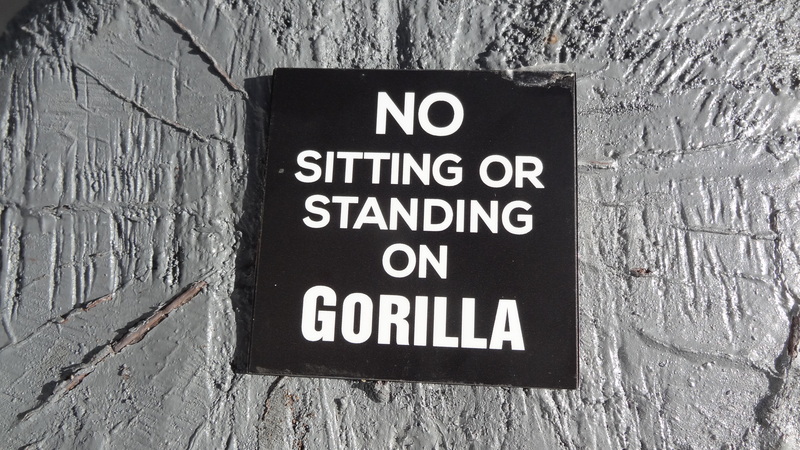 I won’t steal their thunder, head to 151 in Nelson and take a tour, there’s an encyclopedia of information about distilling spirits and the bourbon to come at Silverback. You can even shop for some fun non-alcoholic gift items for tea-totalers. * Special Note * Closed the same days as ABC stores-early closing on Christmas Eve, Closed Christmas and New Years Day. Being first is nothing new to Donald Trump and, in this case, timing is everything. Known for associating their brand with luxury and the finer things in life, the sound of a popping cork and tiny effervescent bubbles racing to the top are symbolic of this latest of Trump ventures. 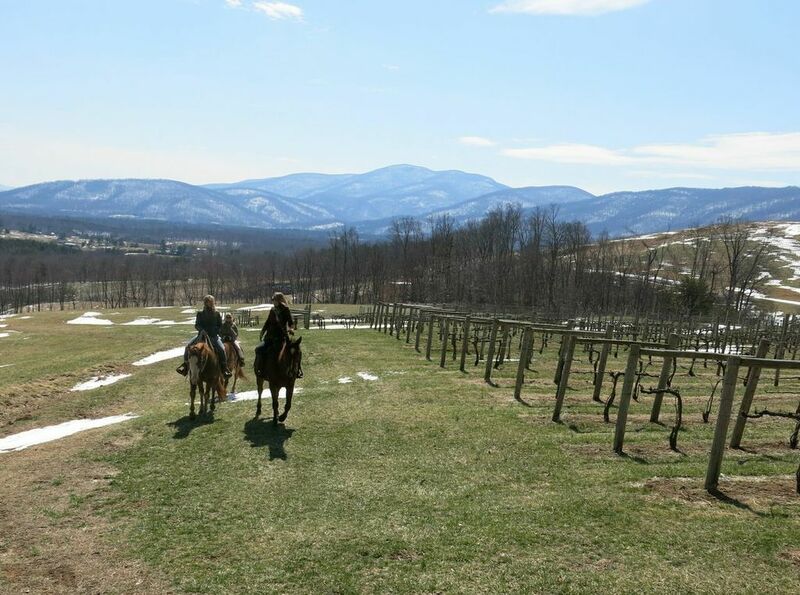 Trump blew into the Virginia countryside in early October 2011 with a clapping helicopter entrance and media show announcing his arrival onto the Monticello AVA scene and in a flash set in motion the transference of ownership from Kluge Estate to his namesake. 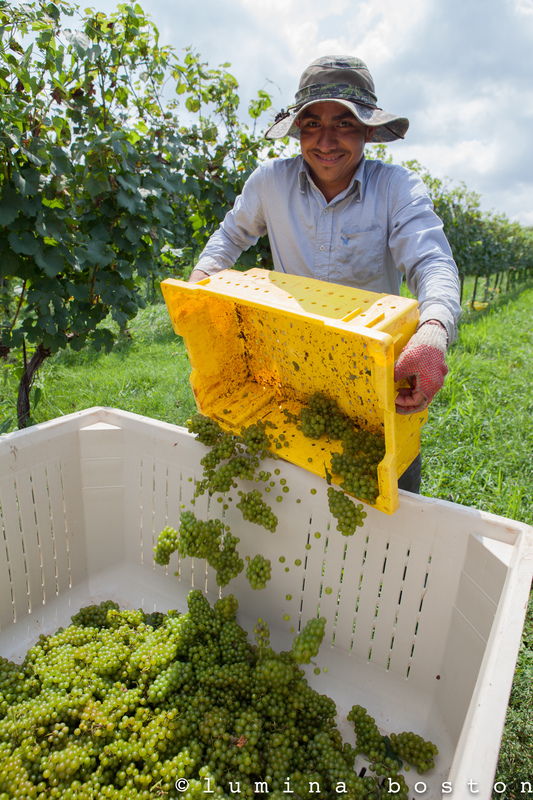 With 95 acres of grapes dedicated to sparkling wines, the 2014 harvest began as a “crunch to the crush”. 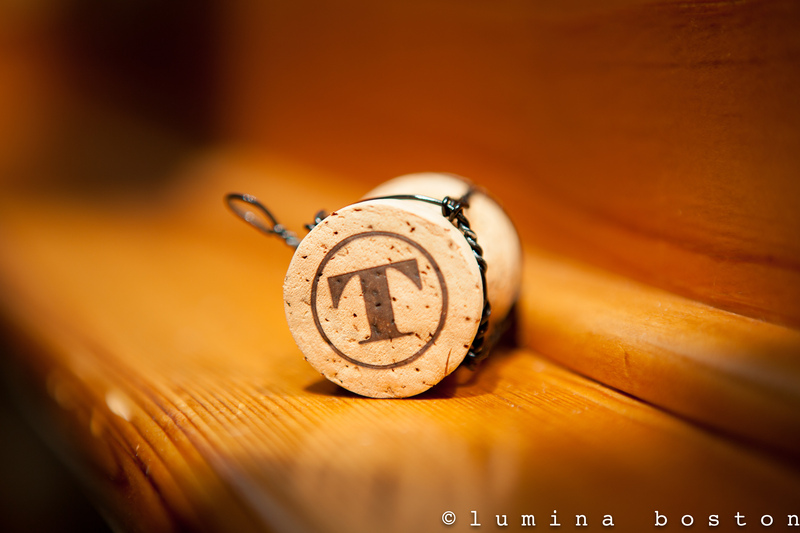 The consumption of Champagne and sparkling wine has been on the rise and Trump Winery was poised to meet that demand. 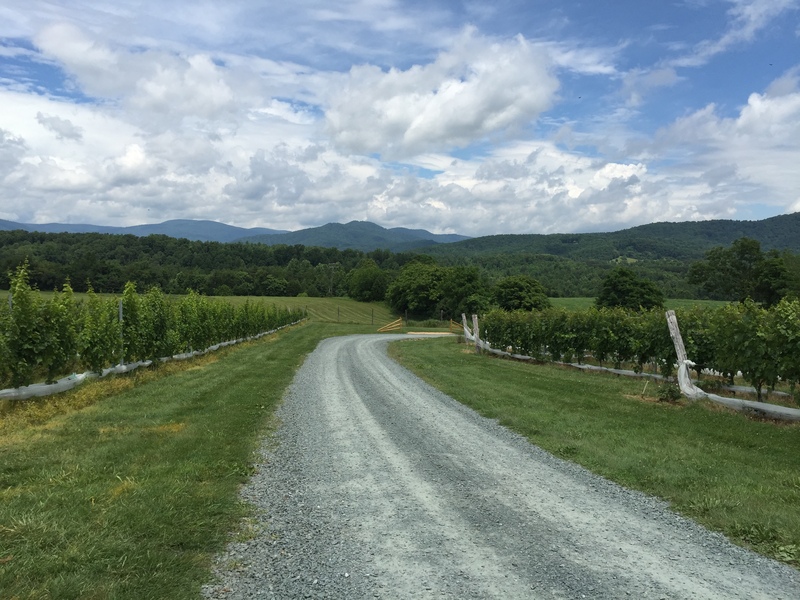 After an unseasonably cool Summer, little rain and hot August days approaching, the time to pick the Pinot Noir and Chardonnay grapes for sparkling wines was quickly upon us in the Charlottesville area. 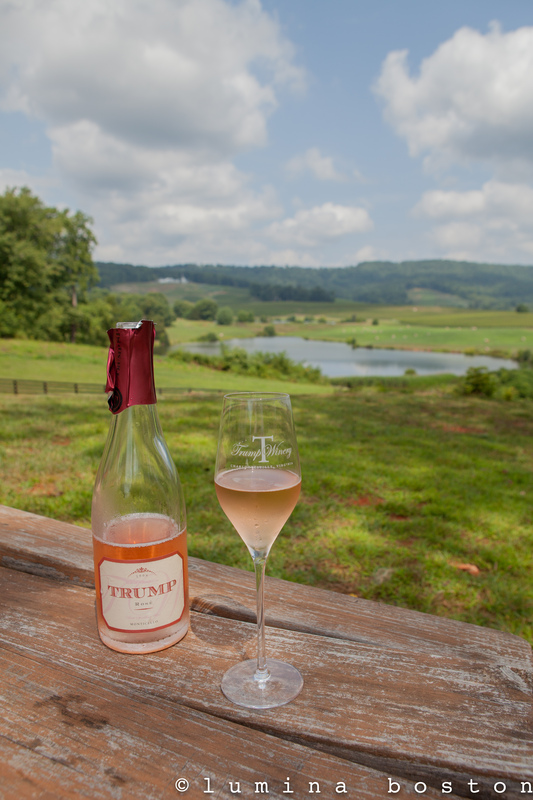 Due to their micro-climate, location and a desire to have a more acidic grape desirable for sparkling wines, Trump is one of the earliest vineyards in Virginia to start picking grapes (as early as August 7th). If we got rain too soon, as was in the original forecast for the 9th and 10th of August, the grapes could become saturated affecting the sugar (brixx) level which is so critical. Harvesting grapes at night and into the cool morning hours is ideal for a champagne style wine. Vineyard managers believe that night harvests result in grapes with better sugar levels and acidity. It is also easier on the workers who are hand picking without having to labor in the heat of the day. On Sunday August 10th, accompanied by my husband and our daughter ( our photographer) we set off for a visit to the Trump Winery tasting room. 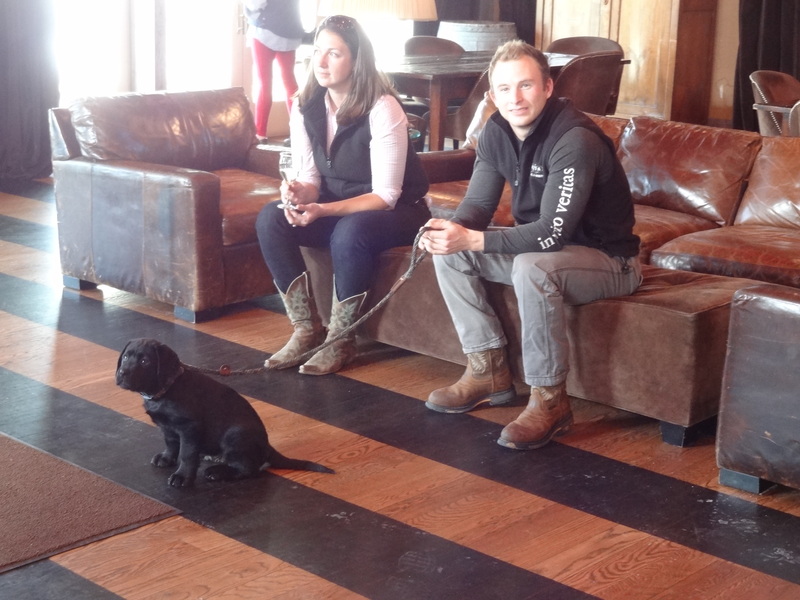 The transformation from Kluge Estate was quite apparent with the Trump logo everywhere emblazoned on polo shirts, on chocolate bars looking newly minted in silver and gold and on the black shirted tasting room team attending to the guests. Even the bathroom fixtures appear gilded! 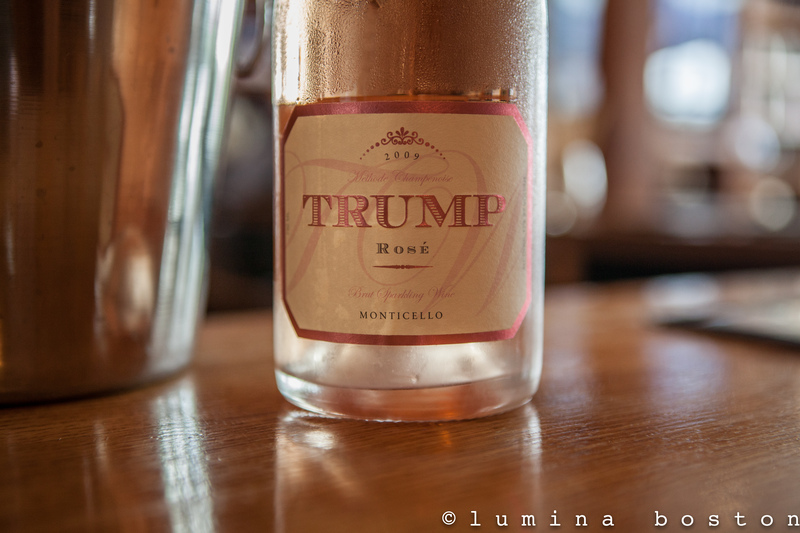 Business is certainly thriving at Trump and the tasting room filled rapidly, but not before we had quick assistance from lovely Judi Bowers, opening a bottle of the Trump Brut Sparkling Rosé 2009 to taste. Great choice, Judi! Armed with our Champagne glasses and an ice bucket we headed outdoors. 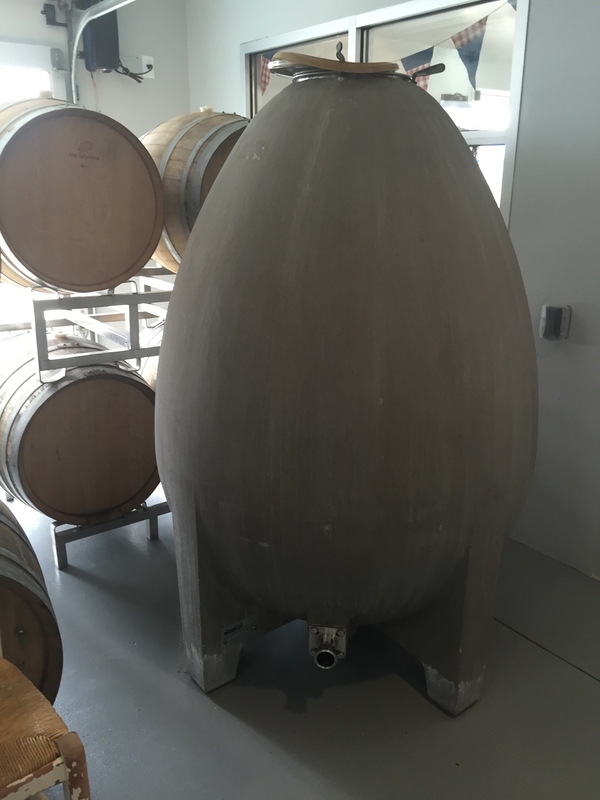 One of the best decisions ( in my opinion) made at the tasting room since Trump had taken ownership was opening up the vista off the larger outdoor patio. Previously the outdoor space had been surrounded by trees and dense natural foliage obscuring the view. Now a picture-postcard, artist-inspiring view draws guests out to rough picnic tables with a pastoral scene of vineyards and a lake in the distance. Just off the patio and tasting bar is a garden smelling ripe with tomatoes. The salmon colored sparkling wine paired beautifully in taste and appearance with our selection of a rustic bacon lettuce tomato sandwich and a Caprese salad of heirloom tomatoes. 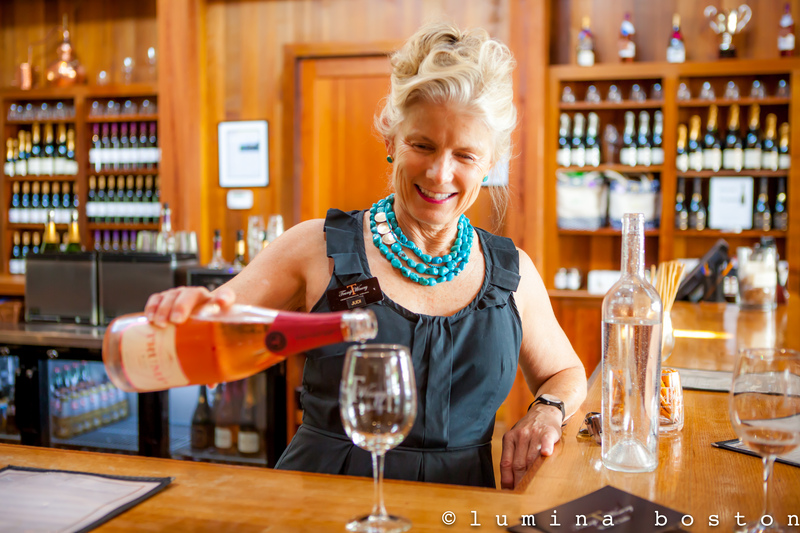 We savored the experience and our glass of Brut Rose before heading out on the hike across the road through the vineyards. 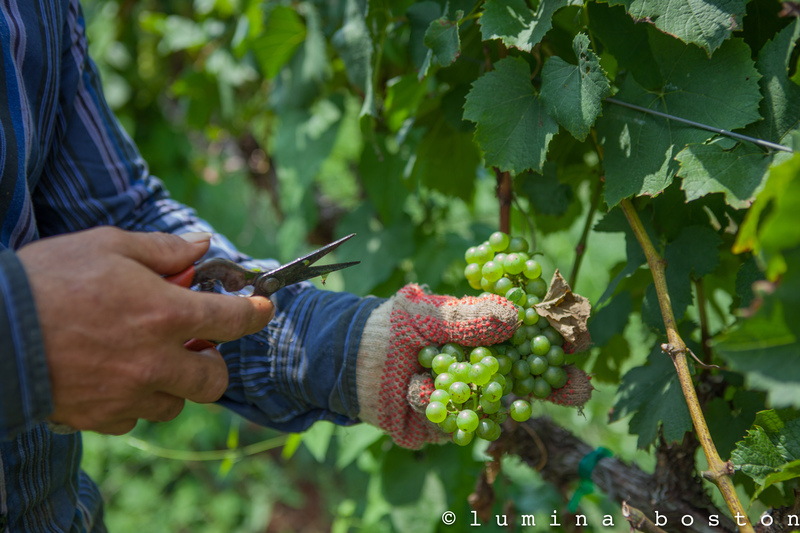 As we approached the vines seemed to come alive with the rustling sounds of invisible workers hidden below the vines laughing and singing as they selected the best clusters of grapes to clip. Moving rapidly up the rows and bringing in the bunches of grapes was a pleasure to watch. 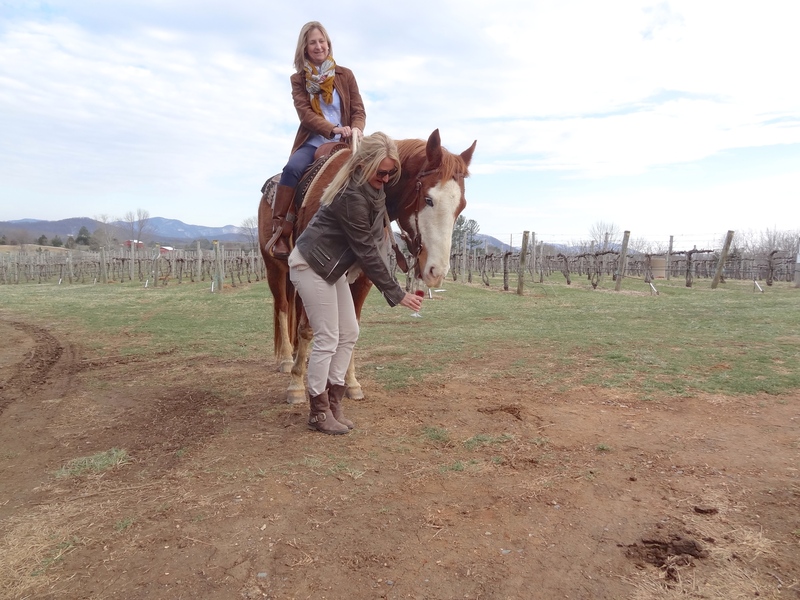 Listen and perhaps the next time you pop open a bottle of sparkling wine from Central Virginia you may hear some of the laughter and song in the rising bubbles! We hope you enjoy your next bottle of Trump bubbly as much as we did. Living in the midst of Virginia’s hunt country has it’s perks. One of the nicest, aside from the scenic backdrop of rolling hills, miles of painted four board fences and Gone With the Wind sunsets, is the pageantry of the horses and hounds. 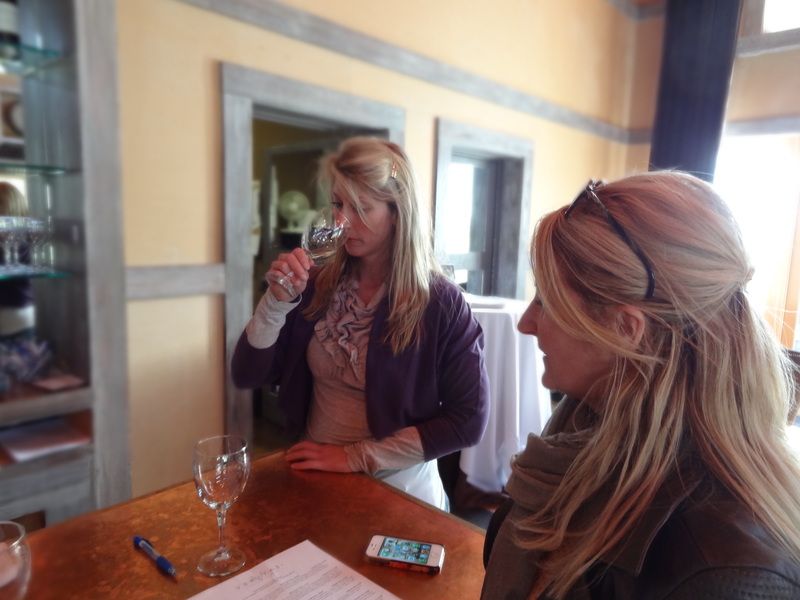 Just a short distance down the road from the popular Keswick Vineyards in Cismont, Virginia is a must do for Thanksgiving. 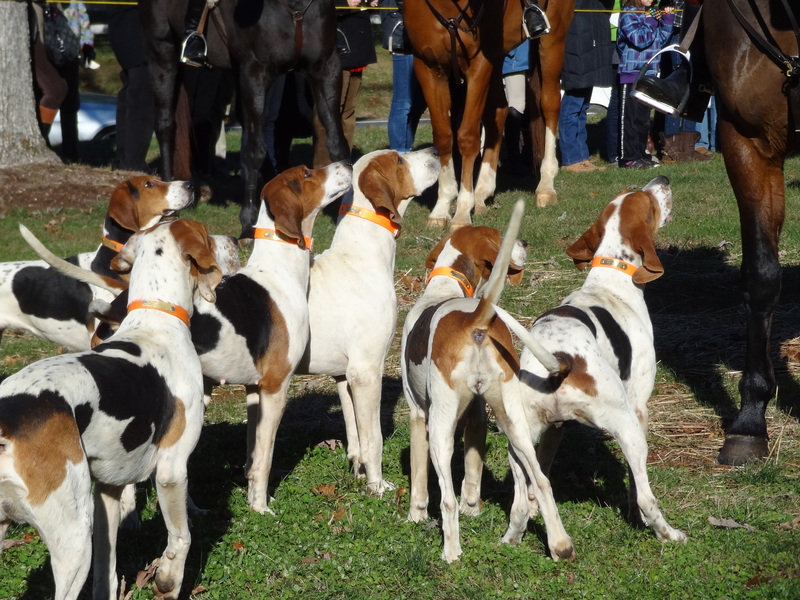 At 10 a.m. on Thanksgiving morning the church bells toll and the annual Blessing of the Hounds is celebrated as an outdoor service at Grace Episcopal Church established in 1742. This prayer service was first held on November 28th, 1929 and is a well loved tradition that “dates back to the eighth century when St. Hubert ( the son of the Duke of Aquitaine) was hunting on Good Friday and saw a stag with a luminous crucifix between it’s antlers. He allowed the stag to get away and ultimately founded a monastery where he bred the black and tan hounds. He later was canonized by the church as the patron saint of hunters”. 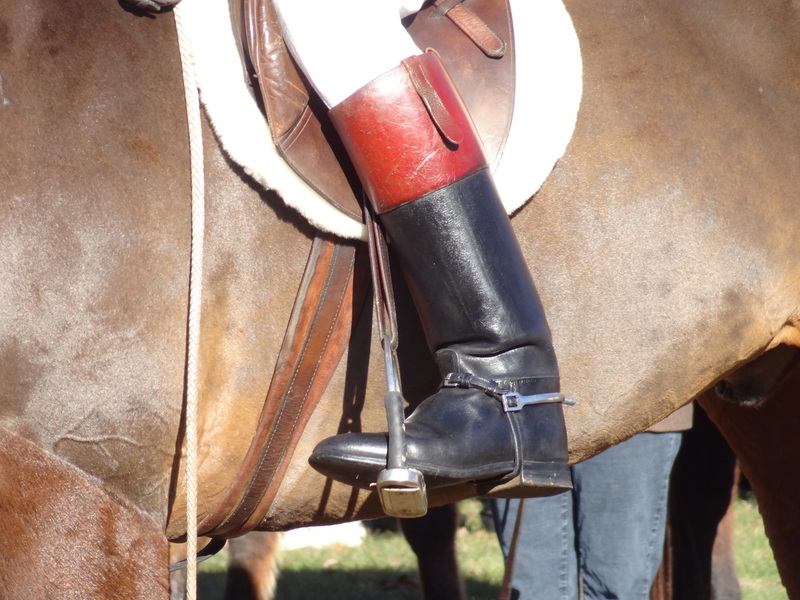 Formal fox hunting attire is elegant and functional. The uniform consists of scarlet colored coats worn with white breeches or black blazers with buff breeches and both always worn with a black hat and black riding boots. Stock ties accentuate white shirts and are protective and functional. In case of an injury, the tie can be removed and used as a tourniquet, sling or bandage and pinned using the simple stock pin. 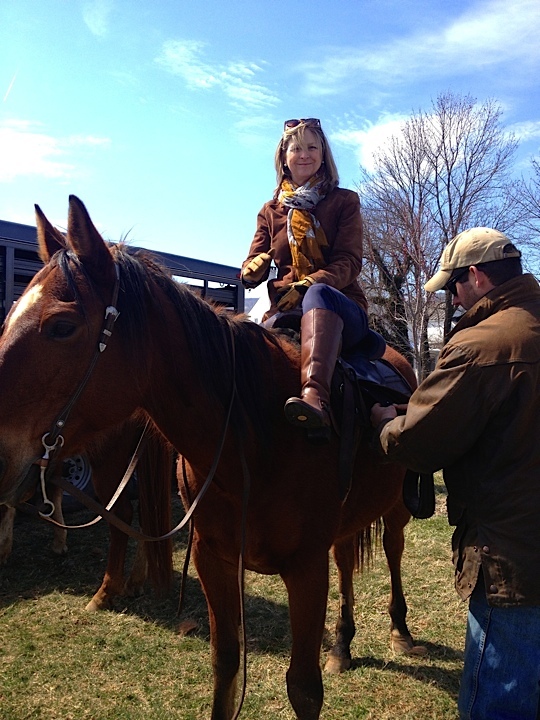 This has become a family tradition on Thanksgiving, all bundled up with warm clothes, a cup of hot coffee and standing huddled with others awaiting the entrance of the horses and hounds. 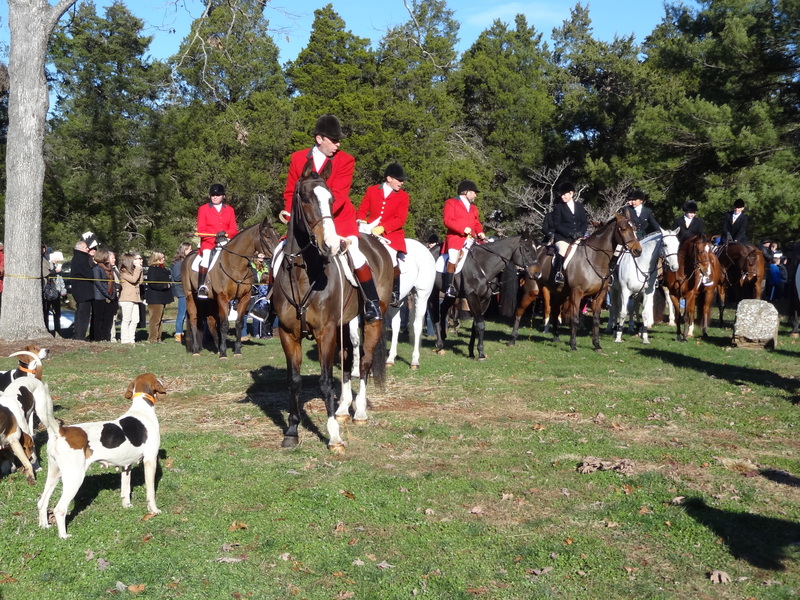 The horses and hounds arrive promptly clip clopping with their riders in fox hunt regalia under the shadow of the Grace bell tower. 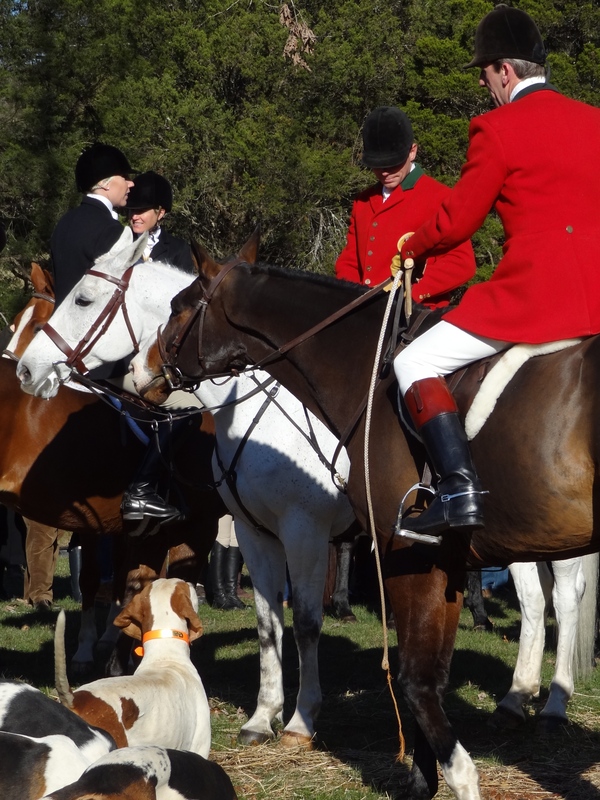 The hounds rustle around, responding to their masters direction and sniffing for some of the treats tossed from the riders on horseback. Horse tails swish, snorting sounds and frosty breath in the cold morning air while the voices softly sing anthems of patriotism. It almost seems as though the animals are hushed by the quiet notes of America the Beautiful and My Country Tis of Thee. The sun rises above the tower of Grace Episcopal Church and the crystal clear blue skies provide a brilliant contrast to the vivid scarlet coats, while we reflect with thanksgiving on the blessings we take for granted the rest of the year. If you haven’t been before, I highly recommend It. The children will love it and it’s great family time. 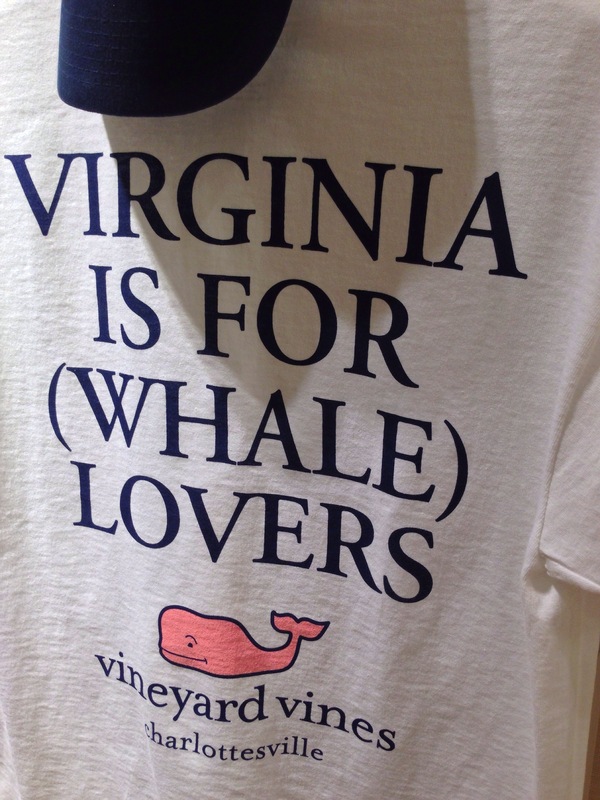 Another Vineyard in Charlottesville: Vineyard Vines! 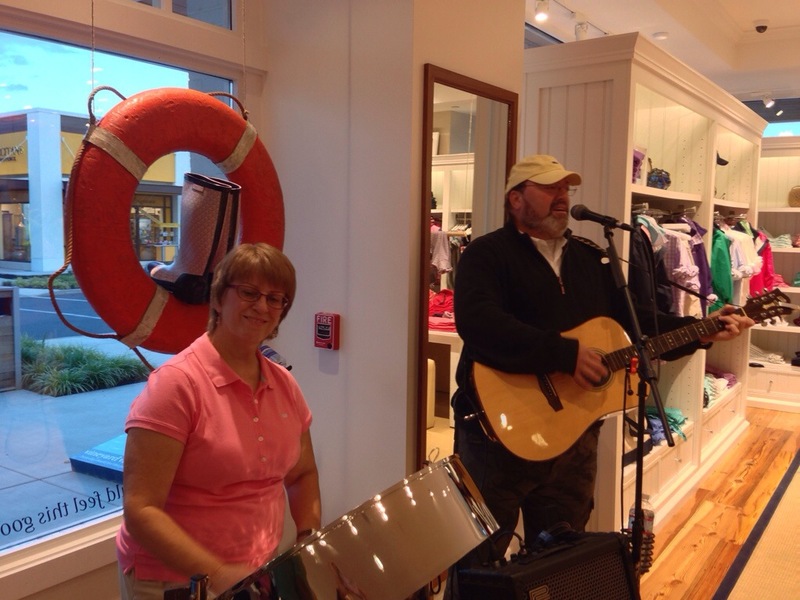 “Every day should feel this good.” The well known slogan of Vineyard Vines was apparent at the grand opening of one their newest nautically themed locations in Charlottesville and it felt really good! The VV concept is to have their clothing and accessories conjure an image of “enjoying the finer things in life, the things people love to do and dream about doing”. Founded in 1998 on Martha’s Vineyard by Shep and Ian Murray, the Connecticut raised brothers left the Manhattan corporate world to make “ties for others so [they] didn’t have to wear them”. Starting their business on an accrued debt of $40,000 , Shep and Ian have managed to turn the small business into a thriving American company with over 28 stores and affiliations with the NFL, NHL, Major League Baseball not to mention colleges and universities. 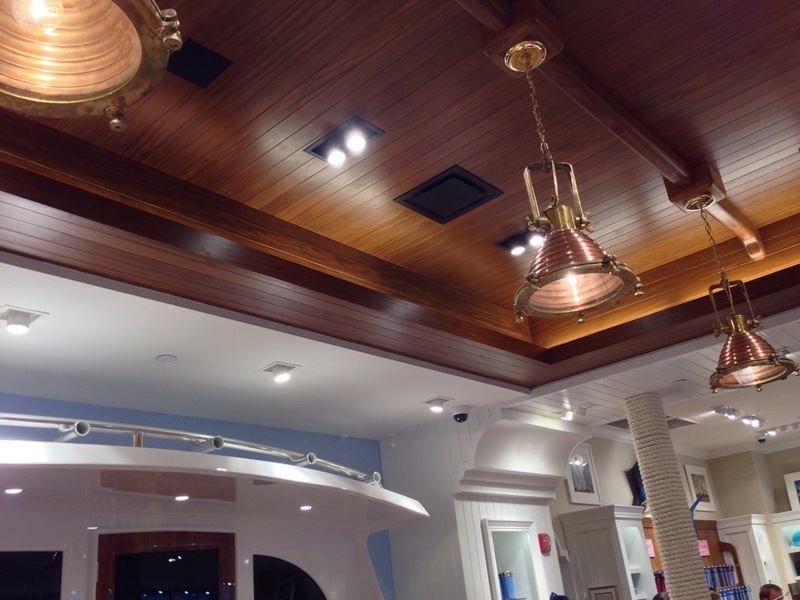 Nautically appointed, their stores display Vineyard Vines memorabilia, sailing gear and an “all hands on deck” sales counter set below a teak sailing yacht ceiling and the backdrop of a ship’s cabin. 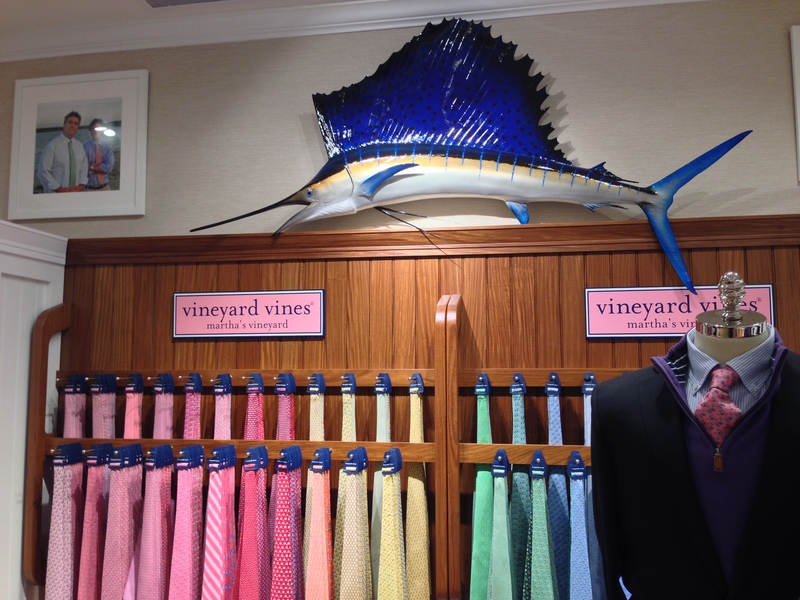 The two brothers have become icons in the world of “haute-prep” and customers have a tradition of bringing in their old Vineyard Vines ties to be autographed. I like to think that Nolan Ross, the fashionably-preppy attired Hamptonite on the ABC TV series Revenge , shops at one of the original VV stores in New England. 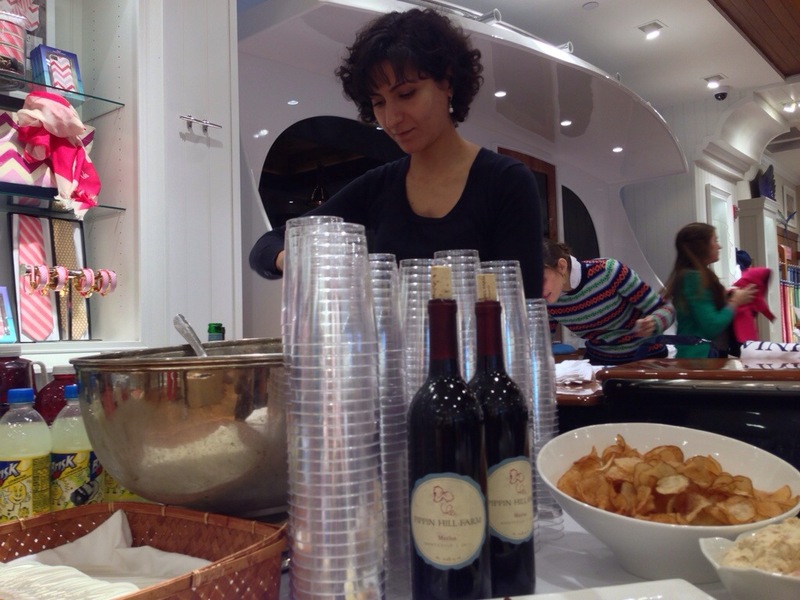 The same signature “fun” atmosphere Ian & Shep have injected into their retail stores permeated last Thursday evening’s event as popped-collared customers socialized, shopped and in keeping with the “vineyard flair” sipped glasses of Pippin Hill Chardonnay and Merlot while sampling carried trays of hors de oeuvres. 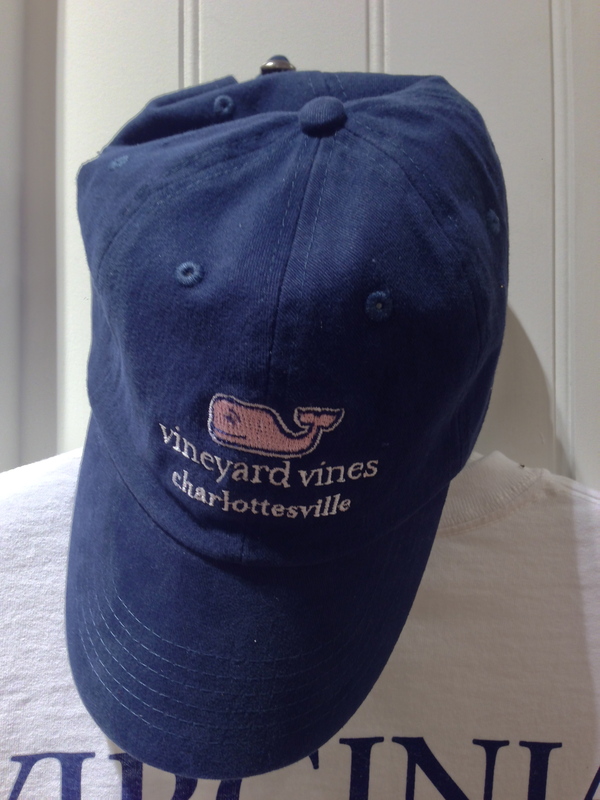 Side note: I’m sure there has been more than one bridal party at Pippin Hill Farm & Vineyard (a premier destination wedding venue near Charlottesville) to don Vineyard Vines accessories. 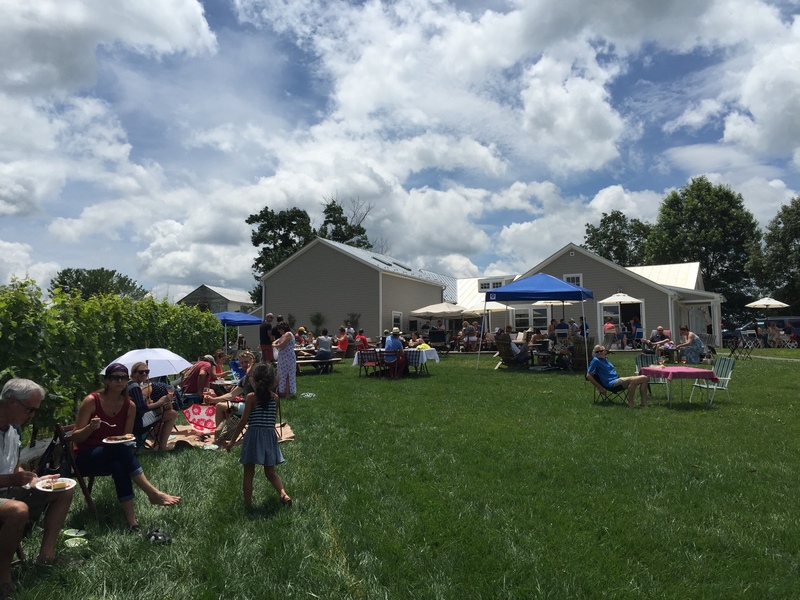 One could almost smell the salty air of the Vineyard as corn hole toss games played at the entrance, photo ops flashed with Ian & Shep, and a duo performed live summer themed music at the door. 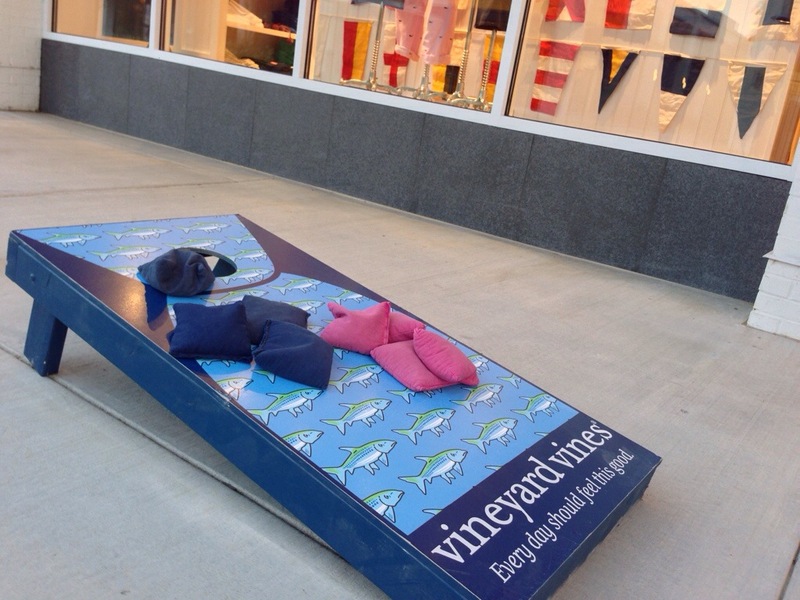 I recommend checking out the Vineyard Vines blog too!